Clip art cards-most people give cards to their mom on Mother’s Day. One way to make a great card for your mother is using clip art. You could select images and put them into a digital card, or you can print them on paper and make your card the old fashioned way with scissors and glue. Or you can do an in between type thing where you create the card on your computer using clip art, and then just print it off. 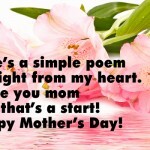 Clip art activities- clip art is great for Mother’s Day activities. 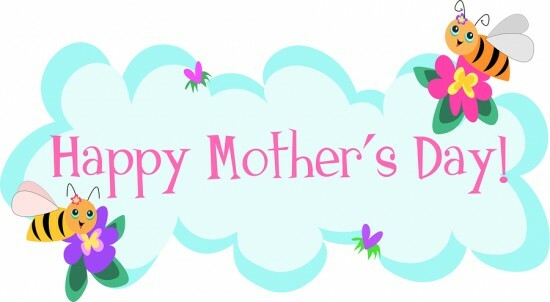 You can use it in crafts, you can print it out to make stationary for writing down your favorite memories of your mom. Then bind them all together to create a fun book for her to read later. You can use clip art to make calendars with the events highlighted so that you do not forget about Mother’s Day, and more. Clip art decorations- Clip art can also be used to decorate for Mother’s Day. You can print out some lovely clip art images, color them, and post them on your mom’s mirror, your mom’s car, etc. Now that you know how clip art can be useful for Mother’s Day, the question is: Where to find it?The best answer is online. There are other options, such as purchasing software full of clip art. However, there are a number of online resources that offer free clip art. Some of this clip art is animated, such as a rose that blooms once an e-card is opened. Or, there might be a dancing image that does a little dance across the screen. When searching for clip art online, be sure to check copyright, and be sure to look for images that are free to download and use. If you violate copyright you could be in trouble, so read the terms and conditions of use. Some sites let you use their clip art on your blog, etc. but you have to give them credit or a credit link. As long as you do your due diligence to make sure you don’t infringe on someone’s copyright, you can enjoy free clip art.